In the past, CD was the most ideal choice offering up to 682 MB of storage for users. Then DVD came along offering up to 4.7 GB per disc with single-layer and to 8.5 GB per disc with dual-layer. Now, we have Blu-ray discs for burning offering up to 50 G storage, and some of them are able to reach even over 100 GB capacities. Blu-ray (BD) refers to a kind of digital data storage format. Blu-ray disc is generally used to store high-quality video and audio as well as other high-capacity data. This invention can supersede the traditional DVD and CD. Blu-ray Disc is capable of storing videos in high-definition (HDTV 720p and 1080p) and ultra high-definition resolution (2160p). As a medium for video material, the main application of Blu-ray is featuring films and video games. The BD format was developed by the Blu-ray Disc Association (BDA), the industry consortium that develops and licenses Blu-ray Disc technology and is responsible for establishing format standards and promoting business opportunities for Blu-ray Disc. 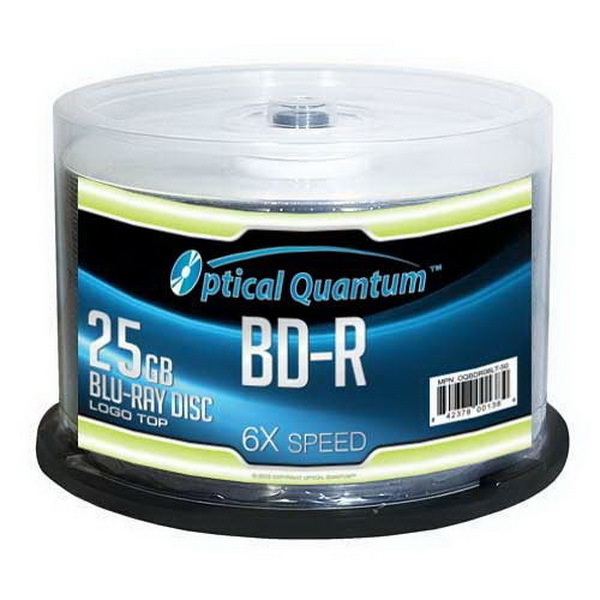 The name of “Blu-ray” comes from the reason that they use a blue-violet laser with a wavelength of 405nm (nanometer) to read and write, which allows information to be stored at a greater density than is possible with the longer-wavelength red laser used for DVDs. The plastic disc is 120 millimeters in diameter and 1.2 millimeters thick, the same size as DVD and CD. 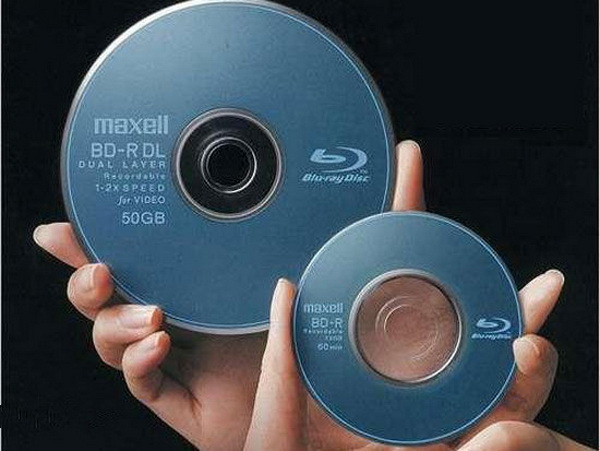 Conventional or pre-BD-XL Blu-ray discs contain 25 GB per layer, with dual-layer discs (50 GB) being the industry standard for feature-length video discs. Moreover, triple-layer discs (100 GB) and quadruple-layer discs (128 GB) are also available for BD-XL re-writer drives. Blu-ray technology offers some better options than DVD and CD to store important materials on physical media like Blu-ray discs, which serve as physical tools to backup digital data with excellent reliability and longevity for users. Here I would like to recommend 5 best Blu-ray discs with great performance on burning. If you are planning to buy a Blu-ray discs for your own need, maybe you can have a look on this post. Verbatim has been at the forefront of the evolution in data storage technology. One of its leading product Verbatim 25 GB 6x Blu-ray Discs has won a lot of customers around the world with its long-lasting durability and trustworthy quality. 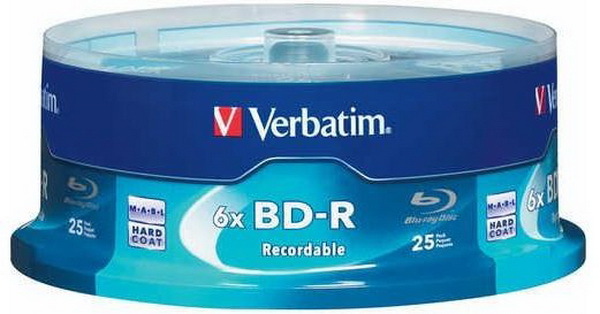 Actually Verbatim 25 GB Blu-ray Discs can support burning speed including 6x 8x, 10x, or 12x if users equip their computers with some of the latest Blu-Ray optical drives, and they are specifically designed with unique coating aiming to be protective and resistant to scratches, fingerprints, and dust accumulation. Last but not least, this recordable Blu-ray discs have impressive limited lifetime warranty of over ten years, which also makes it to be a bright choice worth to be purchased. PlexDisc 633-214 25 GB 6x Blu-ray discs are designed to store large HD video and audio files. By using blue laser technology to read and write data to provide excellent resolution, perfect color contrast, active color and magical effects, they will allow you to back up and record or copy HD digital recordings including your music library. All Plexdisc Blu-ray discs are treated with ultra-hard, abrasion resistant glass to prevent scratches, fingerprint-resistant and reduce dust build-up. Optical Quantum is a perfect choice for common use. This single layer BD-R disc holds a 25 GB capacity and works with mutiple speed up to 12x and 14x depending on brand/model of optical drive. All Optical Quantum Blu-ray discs are treated with a super hard coat to prevent scratches, fingerprints and reduce dust build-up, and compatible with LG 6x, 8x, 10x, 12x, 14x / Lite-on 4x, 8x, 12x / PIONEER BDR 203, 205, 206, 206M, 207, 207M (Pioneer 8x, 12x burners) / SONY 2x, 4x, 6x, 8x, 12x. If you’re looking for value and full compatibility, Optical Quantum offers the best of both worlds. This single-layer Blu-ray disc offers up to 25 GB of storage space to back-up your video, music, photos and more. So this type is quite popular with a great deal of supporters in recent years. What is more, in price’s perspective, Optical Quantum is the perfect option with acceptable cost. 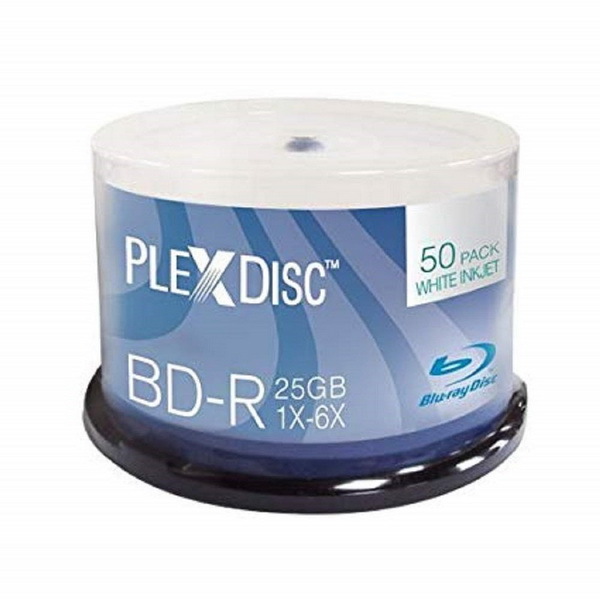 You can have twenty five discs in each case when choosing RiData 50GB BD-R 6X Blu-ray Disc. They are specifically optimized for HD content and are another favorite of customers with high quality. This best Blu-ray discs for burning is also coated with hard coating for protection with desirable warranty. This type is quite attractive. This explains why the RiData 50GB BD-R 6X Blu-ray Disc is one of the leading choices for users. 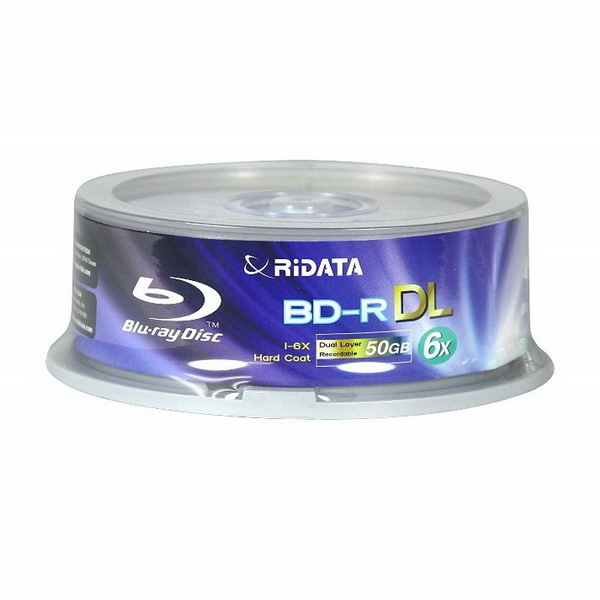 As to their casing, RiData 50GB BD-R 6X Blu-ray Disc are designed to be resistant to plenty of environmental essences such as temperature, humidity, and light levels. 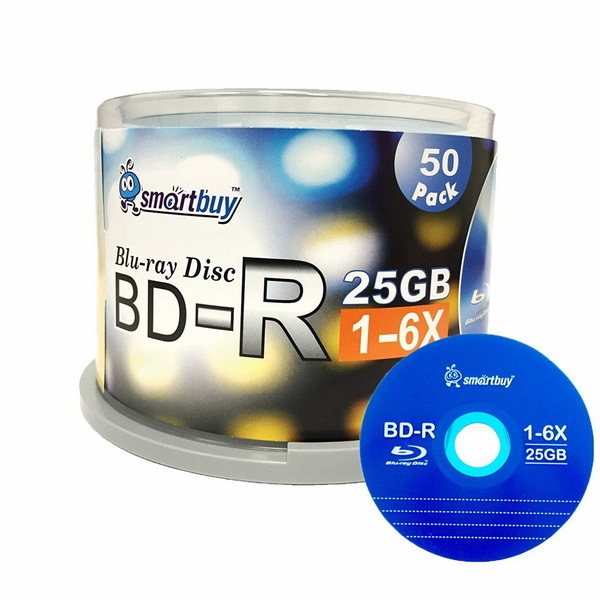 Smartbuy BD-R 25 GB 6 X Blu-ray disc have AAA quality with large capacity to save many video/audio/photo/image with high definition and high resolution. You can share your favorite video and 1080P photos with family and friends in HD or optimal quality by Smartbuy BD-R 25 GB 6 X Blu-ray disc only at a relatively low cost per MB. Smartbuy BD-R 25 GB 6 X Blu-ray disc is compatible with most bd-r 4 X or 6 X brushes and gas stoves from SONY, Panasonic, Pioneer, PHILIPS, LG etc. To back up your digital files and data without accidentally deleting them, this product can save the important file to the write-once CD with long-term data storage and storage lifetime. The burning time is about 15-25 minutes and can be used to rewrite over six times. - Burn videos to Blu-ray/DVD disc, folder and/or ISO image file simultaneously. – Create photo slideshows from various photos and burn to DVD/Blu-ray disc easily. 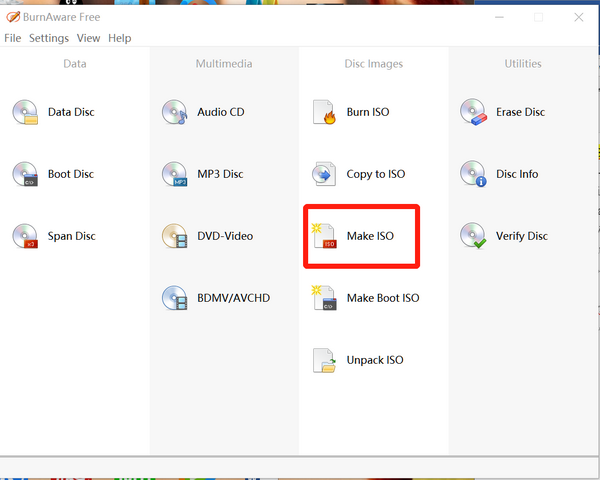 – One click operation to burn ISO image file to Blu-ray/DVD disc. 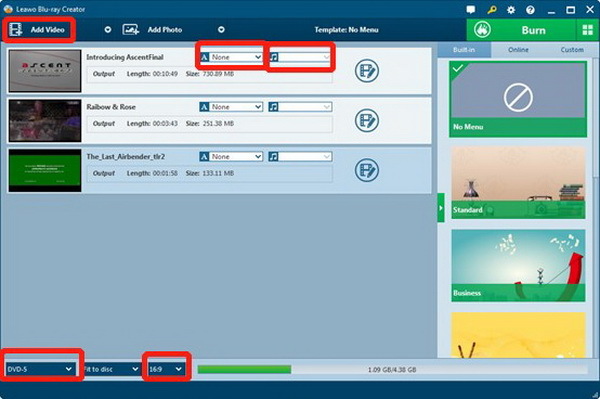 – Edit output videos to add image or text watermark, trim video size, adjust effect, etc. – Create 3D Blu-ray/DVD movies with 6 different 3D effects. 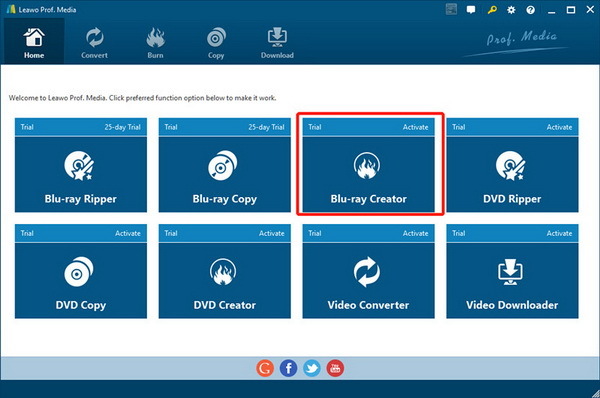 Open Prof. Media software, and click the Blu-ray Creator section to enter the Blu-ray Creator interface to burn movies. There are two ways to add source videos to the Creator, first one is you can directly drag and drop the video file to the interface, or click "Add Video" to select a single video or a video folder from your computer. You can choose the subtitles and sound tracks you like on the file. Choose BD-50, BD-25, DVD-9, DVD-5 according to your requirements for burning (you can simply go with 16:9 when burning to Blu-ray). 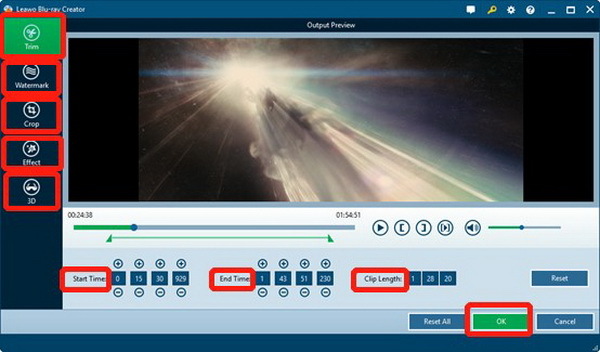 Trim: Trim video length to remove unwanted video clips and retain only the video clip you want, saving time and storage. Watermark: Add a text or image watermark as signature to make the Blu-ray/DVD content your own patent. Crop: video size to remove the black margin or unwanted space, to get the focus you need with ease, or rotate videos by different angles to get special angle of view or for a special purpose, even determine the output Blu-ray/DVD video effect by adjusting the video contrast, saturation, brightness, volume zoom. Create 3D effect: Adjusting Blu-ray/DVD in Red/Cyan, Red/Green, Red/Blue, Blue/Yellow, Interleaved or Side-by-Side, setting 3D Depth for more vivid 3D effect. In this interface, you can select a disc menu on the right sidebar and then click the middle to preview and edit selected disc menu. After setting disc menu, you could edit disc menu, including: rename titles, adjust the title position and content, text font, size and color, load background image/video/audio, edit the content on chapter list pages, etc. You could also choose to add no menu by clicking the “No Menu” option on the right sidebar of the main interface. Click the “Burn” button on the interface to call out a sidebar. You can rename the label of the output file on the Disc Label box. If you want to convert the video into a Blu-ray/DVD folder, check the Folder option. Or if ISO file is what you are going for, check ISO File option. Finally click the Burn button at the bottom to start converting video to Blu-ray/DVD folder or ISO file. 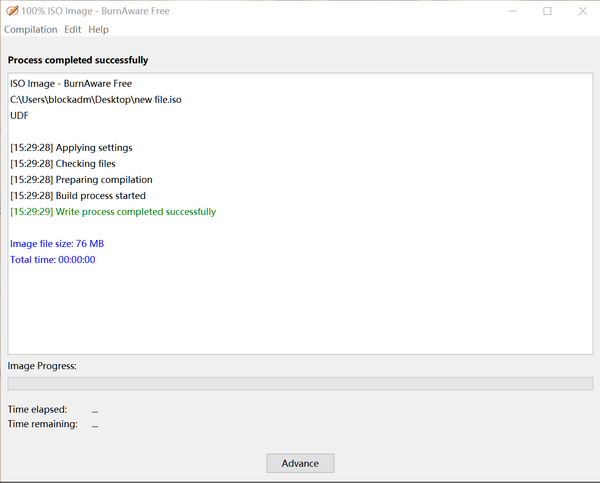 BurnAware is a full-fledged, easy-to-use burning software. It is accessible for users to write all types of files such as digital photos, pictures, archives, documents, music and videos to CDs, DVDs and Blu-ray Discs. What is more, you could also create bootable or multisession discs, high-quality Audio CDs and Video DVDs, make and burn ISO images, copy and backup discs, extract audio tracks, erase and verify data, recover data from multisession or unreadable discs. Here are burning steps for your reference. Get source video files ready for converting. Make sure source video files are protection free. 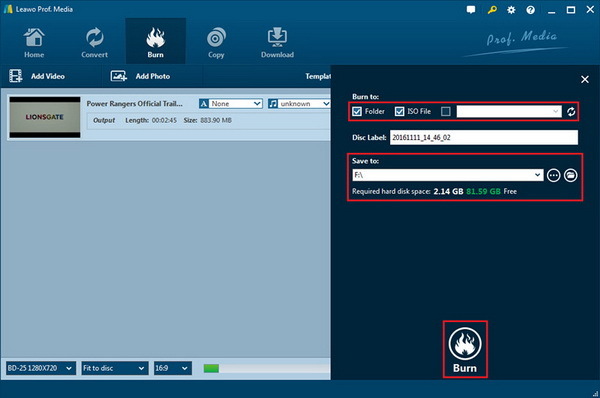 After launching Burnaware software, you can click Make ISO section to burn video. 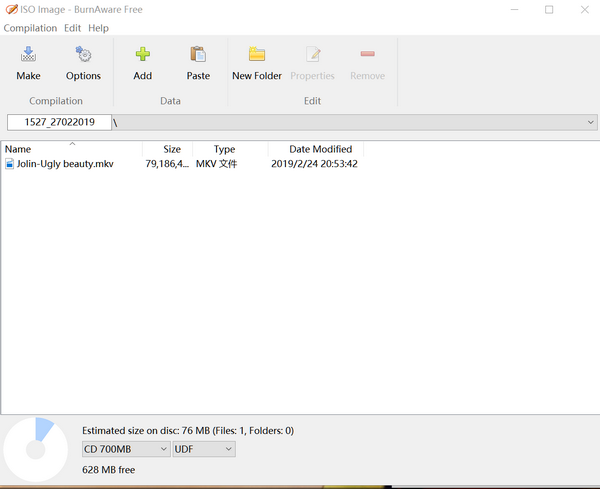 If you would like to find other free Blu-ray Burning Software, you can check the post “5 Best Free Blu-ray Burners to Burn Blu-ray Easily” for Mac and Windows System.